Aircon Servicing Singapore: How many times should I do air conditioner chemical cleaning? How many times should I do air conditioner chemical cleaning? 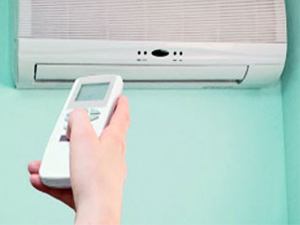 Air conditioners can be used in offices, domestic premises, factories, food processing centers, computer rooms, restaurants and shops. These systems work in an immensely technical way. They eliminate heat from inside a room and take it outside. Within a centralized air conditioning system usually exists a ductwork system which draws air. There also exists an evaporator coil within the ductwork system which is connected to the condenser. A refrigerant carries cool air from outside into the evaporator thus moderating the temperatures within a room. This is ideally the role of an air conditioning within a home, office premises; school or whatever place it is installed. It has the role of lowering both the humidity and temperatures within a premise. It works on the concept that cooler air cannot be able to hold much moisture, and therefore as the air becomes more cool the moisture within it reduces and it eventually gets drained away through the evaporator. That is the major question at stake. Does it depend on the frequency of usage or should it be a general routine process? At the point of purchase most sellers usually recommend to their consumers how many times they ought to carry out servicing of their air conditioners. What does servicing entail and what is it value? The basic concept of servicing entails chemical cleaning. Other parts of the service include a check to identify any potential or existing problems, thorough cleaning of the system and adjustment for peak efficiency. There are a vast number of benefits associated with the process of servicing an air conditioner. A serviced air conditioner is dependable, has a long life span, protects the environment from pollution, can be operated safely and in a healthy manner. It also ensures that the equipment is efficient, thus lowers energy cost. Regular servicing also ensures that potential problems get curbed before they advance and reduces the chances of equipment break down. In general it all goes a long way in saving costs for the user. 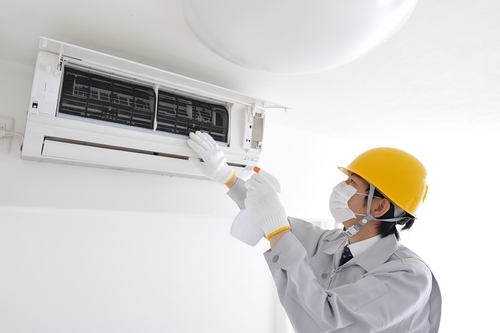 I feel that I should carry out air conditioner chemical cleaning once every nine months, but this timing will highly depend on the frequency of usage. The heating system should be checked and the equipment fired by oil should also be cleaned thoroughly. Chemical cleaning entails a very thorough process which involves a chemical wash of the whole system. It is usually conducted when general cleaning does not yield the expected results. It is also necessary if the system has not been cleaned a long time. Chemical cleaning is necessary for an air conditioner because it ensures that water leak problems are eliminated, it saves on costs of maintenance, prolongs the life of the air conditioner and enhances cooling efficiency thus saving on electrical costs. Whatever direction an individual decides to take with their air conditioning servicing depends on them, but one thing for sure is that chemical cleaning is necessary once each year!